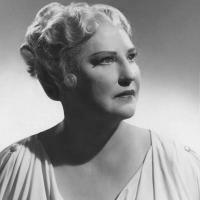 Kirsten Flagstad is thought by many to be the definitive Wagnerian soprano. In the Norwegian soprano's two decades at the Metropolitan Opera, she only sang two non-Wagnerian roles. One of those was Gluck's Alceste, with which she made her farewell to the Met. Tune in to Saturday Night At The Opera on February 6th to hear her in this role in what would be one of her final opera recordings. In this 1957 radio broadcast from Copenhagen, she sings the title role in her native Norwegian, while the other cast members sing Danish. Don't miss this novelty recording! Stepan Atamian hosts.